Gerald “Jerry” Harding, 50-year resident of Dickinson, passed away November 29, 2018. Most of his years he worked for the Government in one capacity or another, finally retiring from Nasa after 36 years. He lived a full and happy life. Jerry never met a stranger. 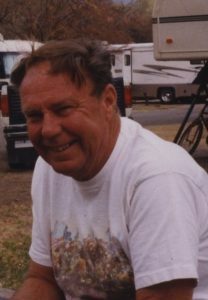 He was happiest fishing, flying, scuba diving, camping, fixing things for friends and spending time with his grandsons. He is survived by his high school sweetheart Carol of 63 years; 2 daughters, Jerra Harding and husband Mike Lanier, and Sandra Harper; grandsons, Donaldson, and Donovan Harper, Jerran Harding, and Johnathan Lanier; brother, Donald and wife Welda, sister, Vera Coker and nieces and nephews. Per Jerry’s request, there will be no services and wished to be cremated and his ashes scattered in the outgoing tide. In lieu of flowers, donate to the charity of your choice or Carol’s choice, The Humane Society.